Pacific Sun Best of Marin 2019 Readers’ Poll | Voting is Now Open! 2019 Best of Marin Voting is Now Open! 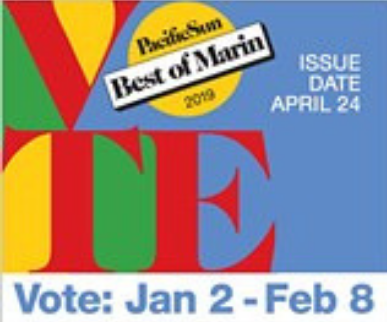 Pacific Sun Best of Marin 2019 Readers’ Poll is now open! My Thai invites everyone to join the annual Best of Marin Readers’ Poll. Voting will end on February 8, 2019 at 5:00 PM. The winners will be announce on April 24.